Normally when you talk about putting the top down, you’re not referring to the ceiling above your bed. Why it’s taken so long for the drop-top feature to move from the motor vehicle to the one in tow, we don’t know. 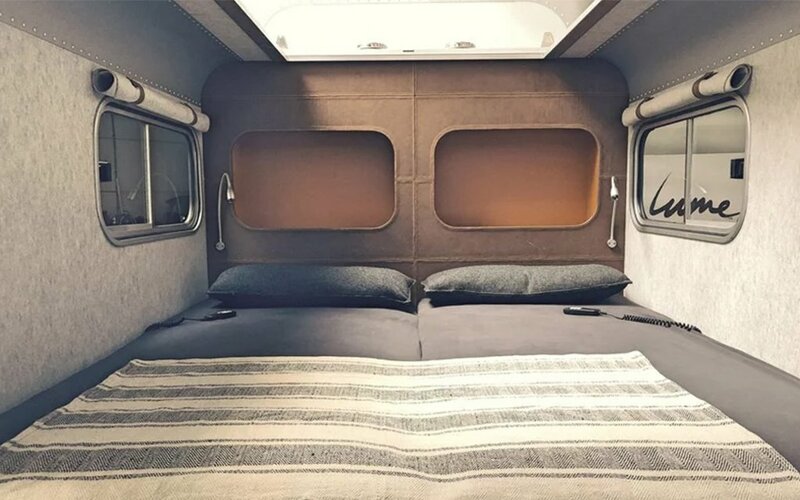 But the roll-back roof on the the tidy, aluminum LUME camper is a game-changer. 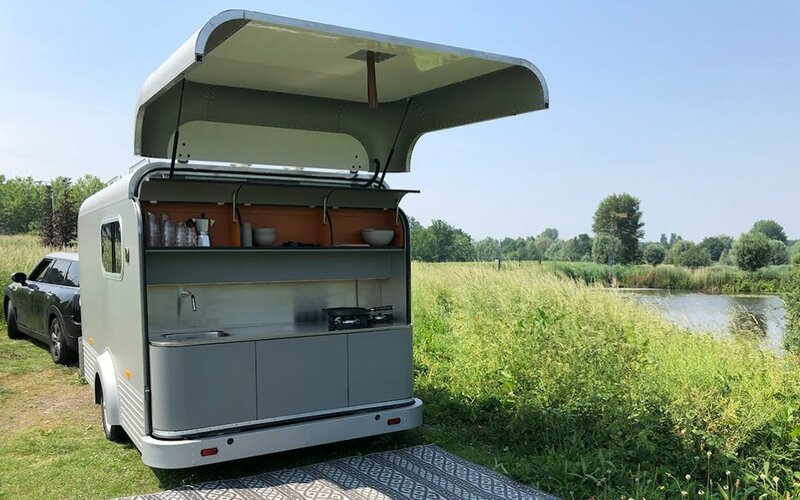 Designed by Netherlands-based designer Han Van de Laar, the Traveler by LUME has everything you need and nothing you don’t: a comfortable double bed, customizable interior, and a full kitchen all enclosed in a silvery, Airstream-esque package. 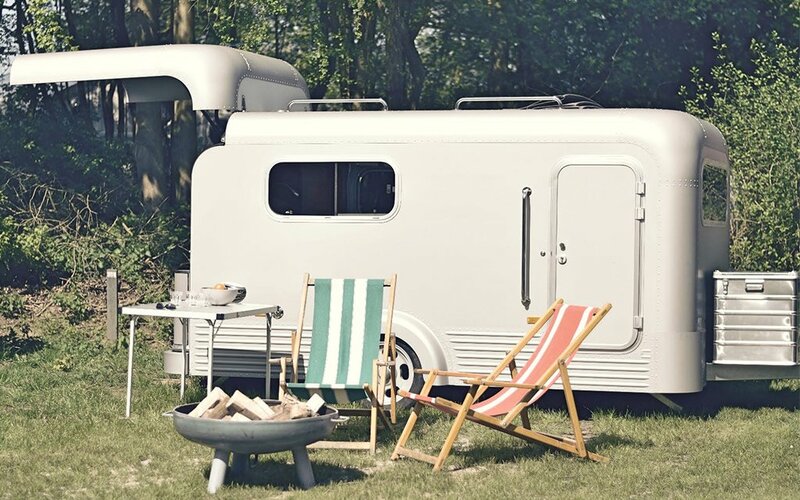 The designer himself doesn’t like camping, but he likes to be outside, which explains that retractable soft-top roof. When you want to be close to nature but don’t want to run the risk of an insect sharing your pillow, you opt for sun shade. 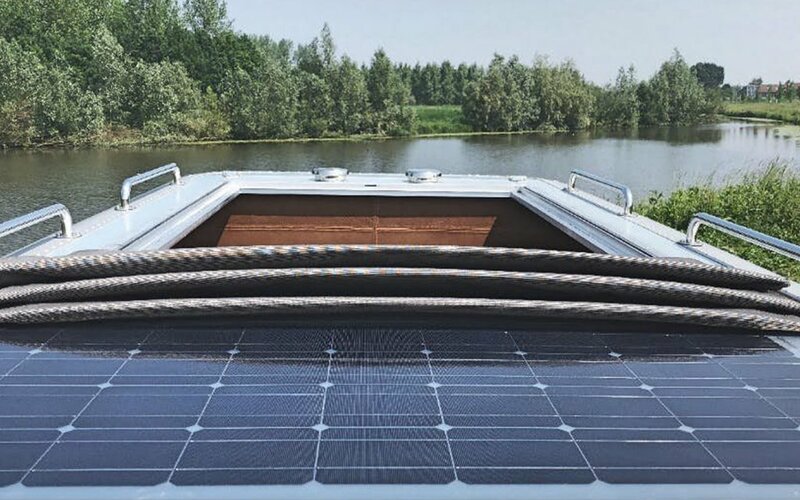 There are optional 100-watt solar panels that can be added to the roof, enough to charge your essentials. 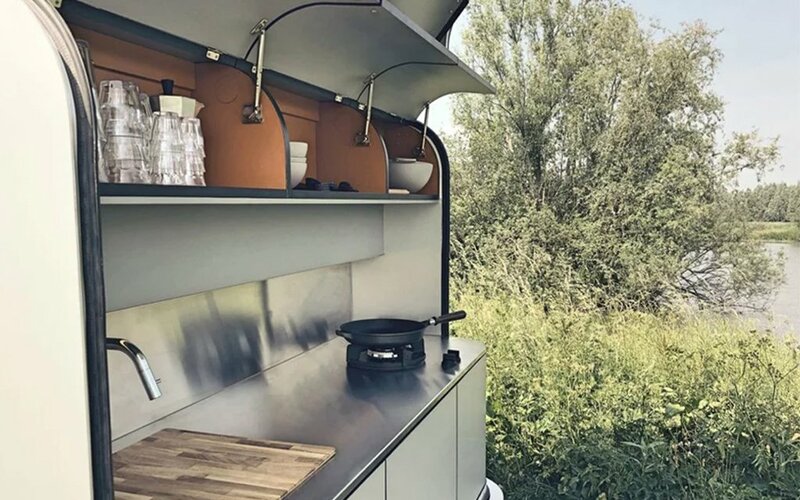 And a hatch opens to reveal — and shelter — the full kitchen at the rear of the trailer, equipped with two burners, a sink, a 40-liter fridge and plenty of storage. 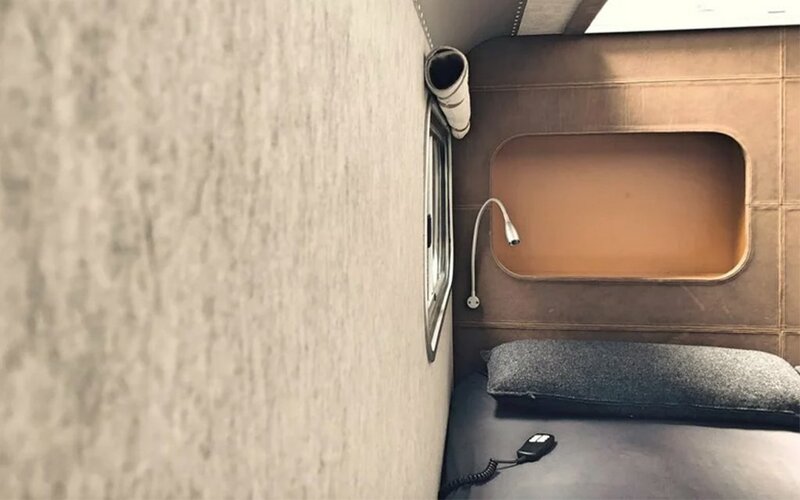 Inside, roll-up shades and walls of leather and dirt-repellent felt add an interesting textural dimension to the interior. Configuration starts at about $53K. If you’re not in the Netherlands but want to schedule an appointment or find out more information on the purchase process, head to the LUME website. Act quickly, because only 50 will be made. 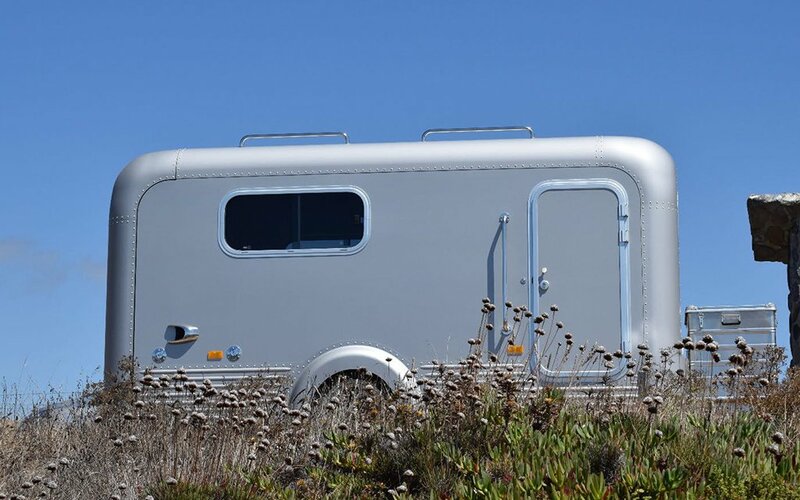 There’s also a shell trailer available, gutted, for the intrepid DIY-er. That starts at about $31K.